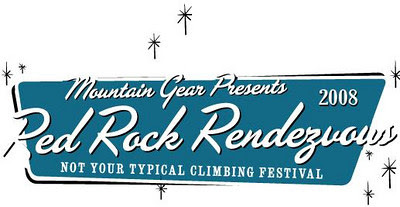 The fifth annual Red Rock Rendezvous rock climbing festival, set to take place on March 28-30, just announced the list of internationally renown athletes that will be leading the event’s scheduled clinics. The climbing athletes include: Mijka Burhardt, Tommy Caldwell, Olivai Cussen, Malcolm Daly, Mica Dash, Brittany Griffith, Arno Ilgner, Dean Lords, Dale Remsberg, Beth Rodden, Matt Segal, Pablo Stein, and Don Welsh. Participants at the Red Rock Rendezvous get the opportunity to take rock climbing clinics at all levels from the above-mentioned athletes. Ten American Alpine Institute guides will also be instructing clinics during the festival, as well as be available for booking before and after the festival. Call us at 360-671-1505 to book a guide around this time, and see our Red Rock webpage for details on pricing and routes. “The quality of instruction received by participants every year is what makes this event unique and keeps climbers coming back,” said Paul Fish, president of Mountain Gear. Presented by Mountain Gear and sponsored by The North Face, the festival is in its fifth year and will be held at the Red Rock Canyon National Conservation Area near Las Vegas, as usual. Funds generated from the festival will benefit The Access Fund and other local and national non-profit organizations. The festival will offer clinics for advanced, intermediate and beginning climbers on Saturday and Sunday. Registration is $89 per person for the Saturday and Sunday events, and $179 per person for the Friday “Intro” day and Saturday and Sunday clinic combo. Registration includes the Friday night opening celebration, free climbing at Red Rock Canyon when not in formal clinics, a dinner buffet on Saturday night, demos, comps and mini-seminars by event sponsors, a blow-out party and slide show on Saturday night, pancake breakfast Sunday morning and service projects to assist in the environmental conservation of the Red Rock Canyon and Spring Mountain. For only $39, participants can receive access to all of the festivities without the climbing. All of the festival activities outside of the climbing clinics will take place at Spring Mountain Ranch State Park located approximately 10 minutes from the entrance to the Red Rock Canyon National Conservation Area.